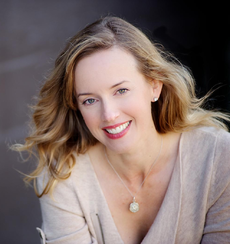 Laura Faye Smith is the current voice actress for Rosalina. She has been portraying her since Super Mario 3D World for the Wii U, as well as her baby counterpart in Mario Kart 8 and its remake for the Nintendo Switch. In some games, however, work from Kerri Kane, Rosalina's previous voice actress, was reused. In some games, such as Mario Party 10 and Mario Tennis: Ultra Smash, where she did the voice work for Rosalina, Kerri Kane's name had been in the credits, miscredited as Kerry Kane. Smith was born in San Jose, California and moved to Oregon when she was young, where she now resides. As a kid, she enjoyed playing Super Mario World, which got her into the Mario series. Later on, when she was doing theater work, Smith constantly played WarioWare: Touched! and Mario Kart: Super Circuit with her coworkers. Before getting into the theater industry, Smith had tried to do voiceover work but didn't find enough opportunities. She was then contacted by In Both Ears, the same agency that Rosalina's original voice actor, Mercedes Rose, is represented by, who got her the audition for Rosalina. In a 2016 interview, Smith stated the audition was relaxed and fun and that Nintendo made her feel very comfortable. Rosalina's backstory particularly attracted Smith, who liked her being a powerful character and at the same time being kind and motherly towards the Lumas. Smith also recognized Rosalina's personality to be strongly shaped by her mother's death, which has made her strong and caring. She mentioned Rosalina's grounded nature as being similar to her in real life. Smith has cited her voicing of Rosalina as being one of the most fun jobs she has ever had. Smith has also voiced the male Kana in Fire Emblem Fates as well as multiple other characters for Mad Head Games. ↑ 1.0 1.1 The 'Shroom (June 26, 2016). Laura Faye Smith Interview. Super Mario Wiki. Retrieved June 26, 2016. This page was last edited on October 15, 2018, at 19:25.